If there’s one thing we know about Lions, it’s that they love getting involved. Lions and Leos are service role models around the world and now you can be a MyLion leader as well! If you want to learn more about MyLion, contribute suggestions for enhancements, or help fellow users get support, check out three ways to join the conversation on our new service tool. 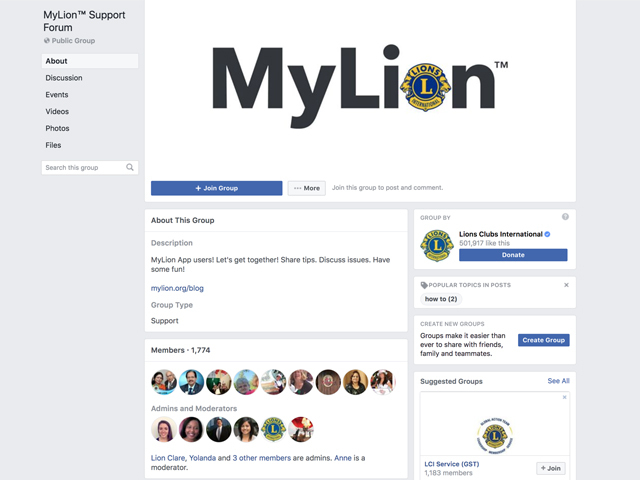 The MyLion Support Forum was originally a Lion-created and Lion-led Facebook group for discussing everything MyLion. Since it was created a year ago, over 1500 Lions have joined the group to ask questions, fill gaps in their knowledge, and help out fellow users. Not sure how to set up your service? Have a great idea for a new MyLion app feature? Looking for the best way to find local service activities? Ask the MyLion Support Forum, and get help from the dedicated Lions who post there every day. The group also has staff members from Lions International headquarters (many of whom are Lions, too!) and representatives from our tech partners who are developing MyLion. Whether a question, issue, or suggestion, this group will have the support you need. The Global Action Team exists at every level of Lions International and is a MyLion resource. Check out who in your club, district, multiple district, or constitutional area represents the Global Action Team, particularly the Global Service Team, and share your experiences on MyLion with them. These leaders will make sure your insights reach the Global Action Team specialists at Lions International and that your feedback is incorporated into our MyLion development plans. MyLion.org is a great resource to learn about MyLion and every month we update the site with new blogs posts like this one. 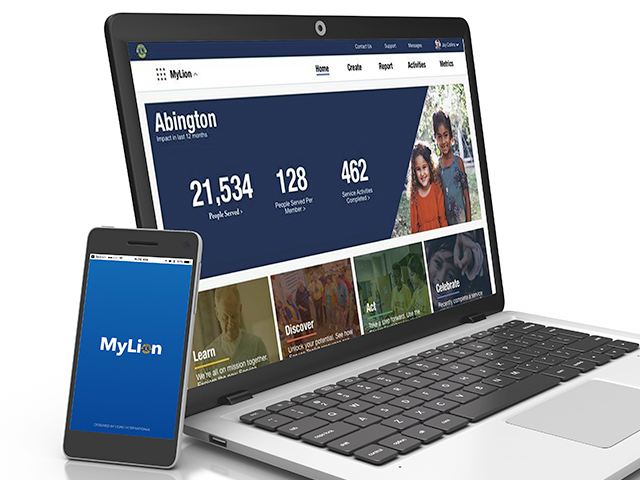 As a MyLion Connect subscriber, you’ll receive our monthly email newsletter to keep you up to date with the latest tips, tricks, and stories on MyLion. We’ll also let you know when new tools are added to the site, so you can be a leader in getting your club fully online!